If you're visiting Japan, plan on several days in Kyoto if you enjoy gardens and historic architecture. 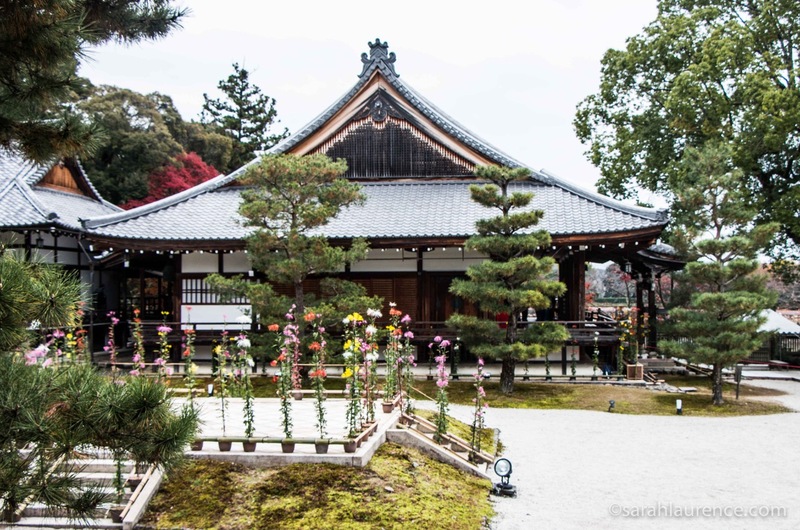 This post includes only five of the 1,600+ Buddhist temples in the prefecture. 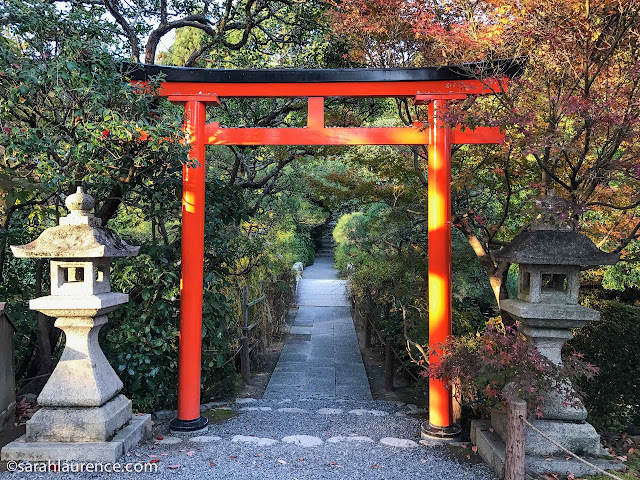 Japanese temples frequently combine elements from their two national religions, like the traditional gate to a Shinto shrine (above) and the Buddhist garden (below) at Ryoan-ji Temple. 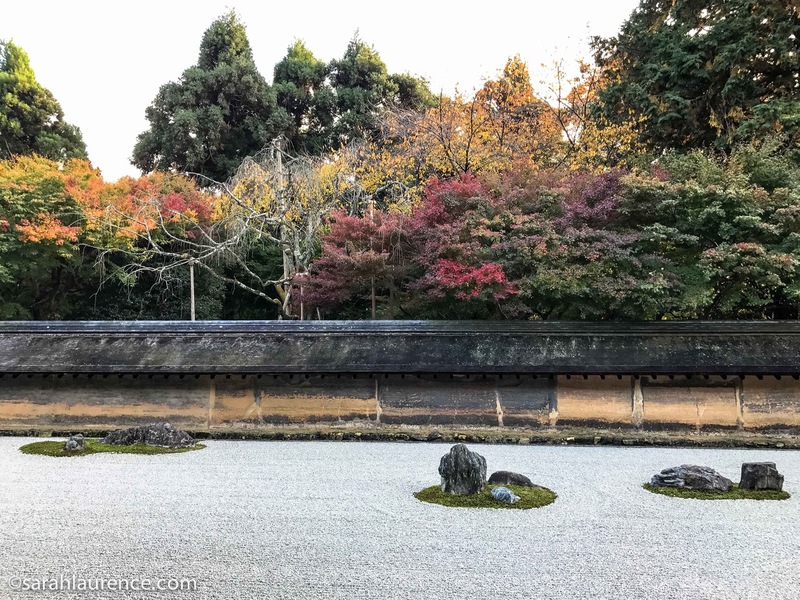 Ryoan-ji's rock garden with fall foliage. Photography fails to capture the minimalist beauty of Ryoan-ji's famous rock garden, which must be seen in person. The mossy rocks are islands in a gravel sea. 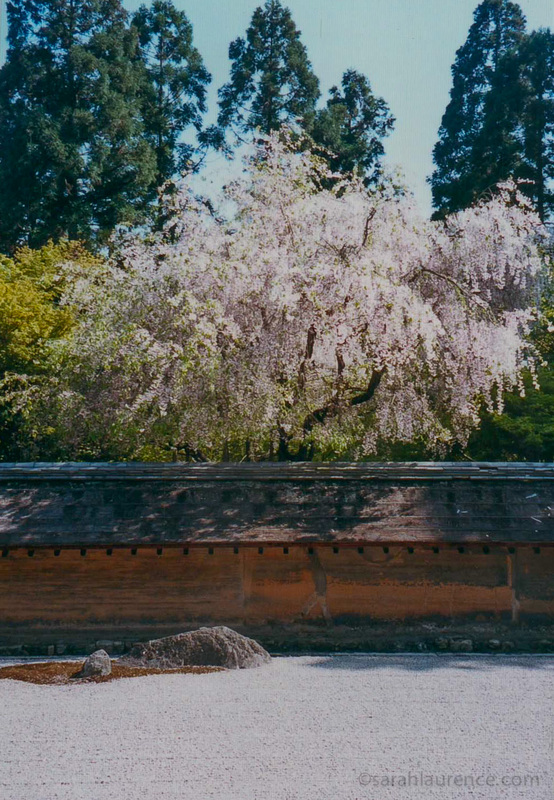 In spring that bare tree drips cherry blossoms over the wall . 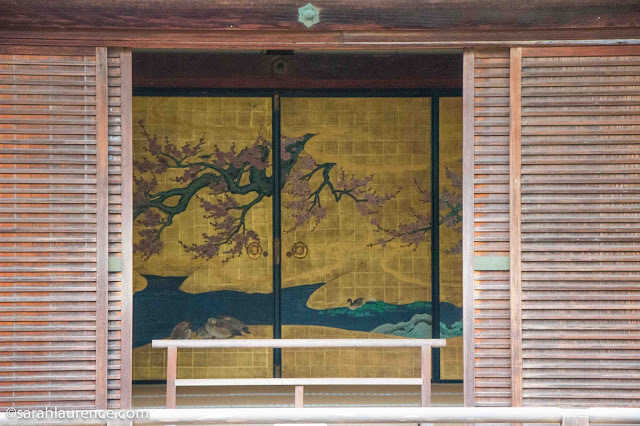 I have now seen Ryoan-ji in three seasons and would return a fourth time to see it in snow. That won't happen this sabbatical since my husband and I are going home to Maine for our kids' winter break from college. Our kids were only three and six when we took them to Kyoto for cherry blossom season during my husband's last academic sabbatical to Japan. 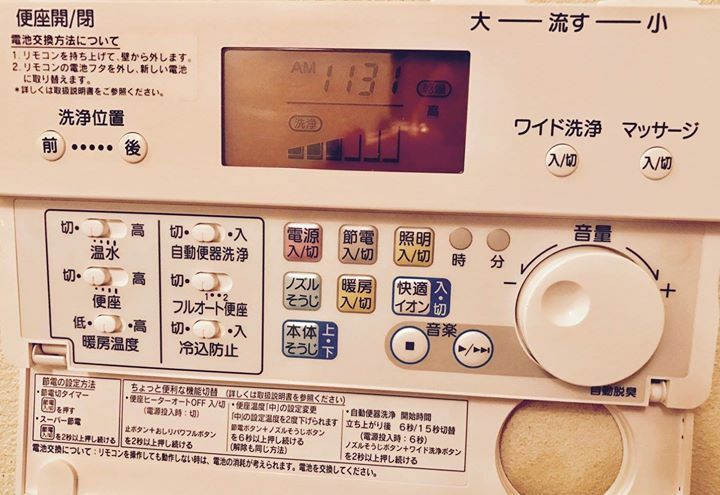 Henry teaches Japanese Politics at Bowdoin College and speaks the language but not fluently. Before he became a professor, he worked for the Bank of Tokyo in London. The first time I visited Japan, I was nineteen and it was brutally hot and muggy in August. 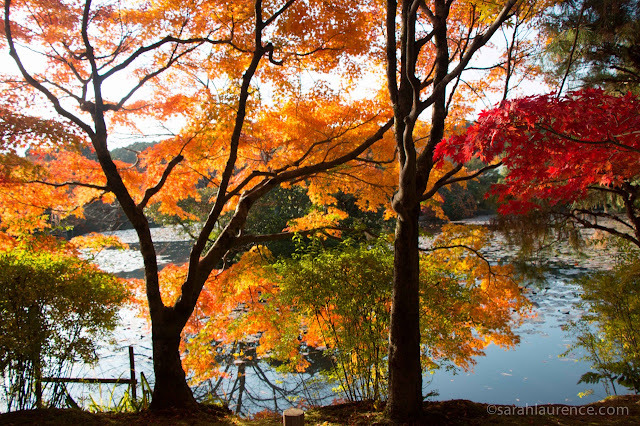 The grounds of Ryoan-ji were refreshingly cool in summer but are at their most glorious when the maples turn color. The orange fruit hanging from bare trees are persimmons, which taste like papaya when ripe. 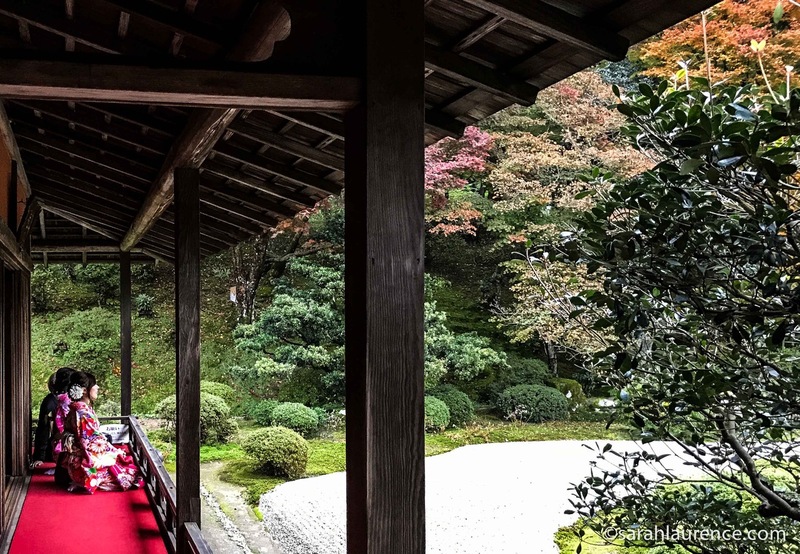 Cherry blossom season (early April) and peak fall foliage (late November) draw big crowds to Kyoto for good reasons, especially at Ryoan-ji. Pack warm socks since you remove your shoes inside temples. 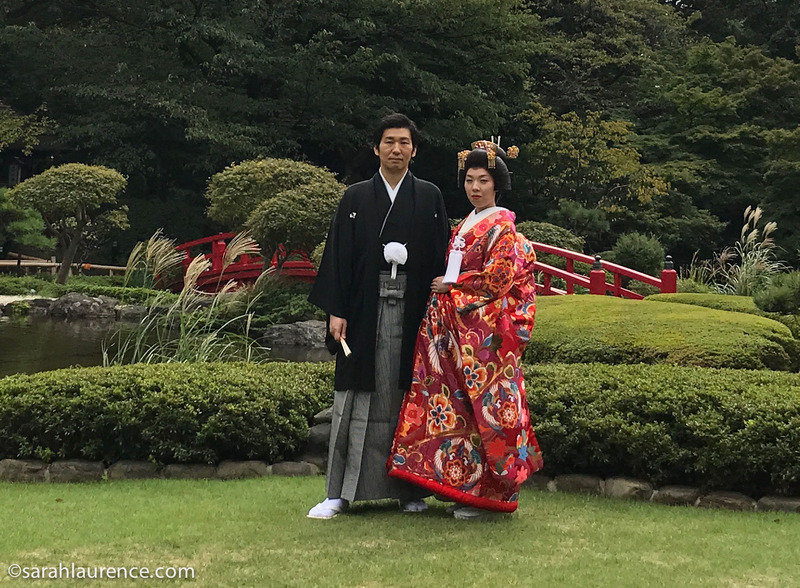 Although Japanese people usually wear western clothes, women and girls occasionally dress in kimonos to visit temples and to pray in shrines. Newlywed couples in traditional dress pose for photos too. The open porch of a Buddhist temple is designed for garden viewing and meditation. Manshu-in Temple (above and below) can't be reached by bus since the mountain village roads are too narrow. To avoid the weekend crowds, we chose two remote temples Manshu-in (above) and Enkou-ji (below). Their websites are only in Japanese. Enkou-ji is in walking distance of Manshuin. 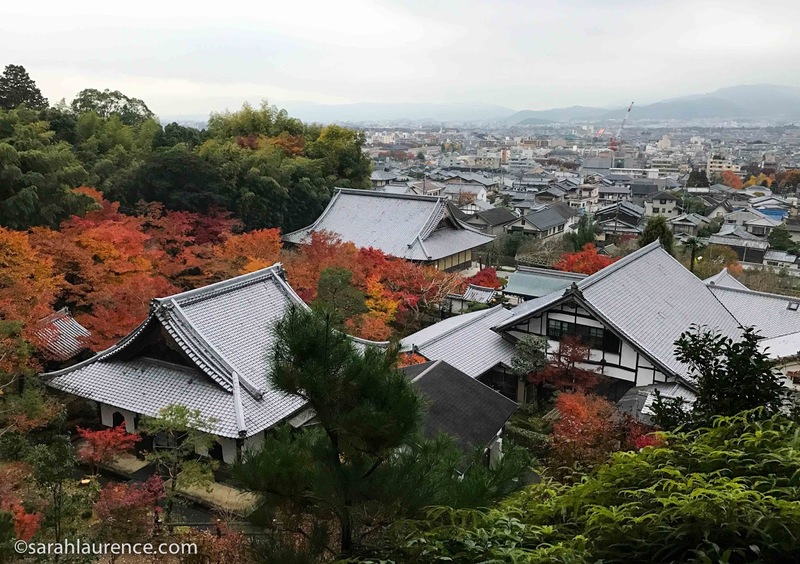 The summit trail offers a spectacular view of Enkou-ji Temple and Kyoto. 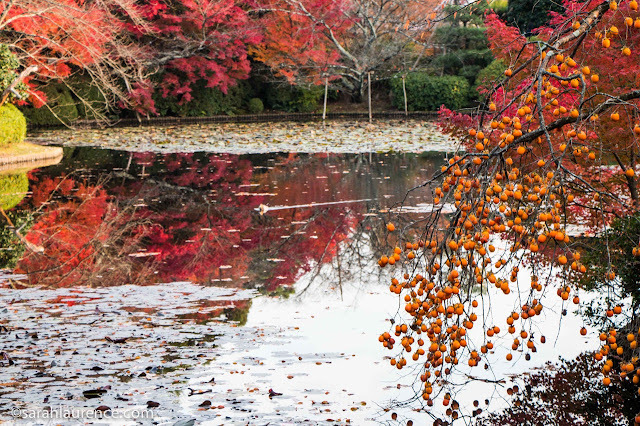 In the early evening, lanterns illuminate the gardens. 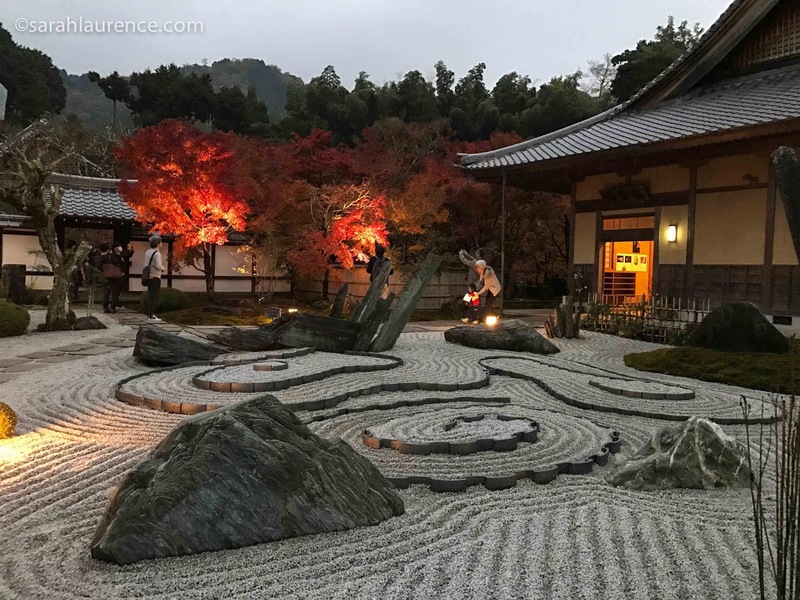 This rock garden is not as subtle as Ryoan-ji, but the more pronounced rake patterns makes it easier to photograph. 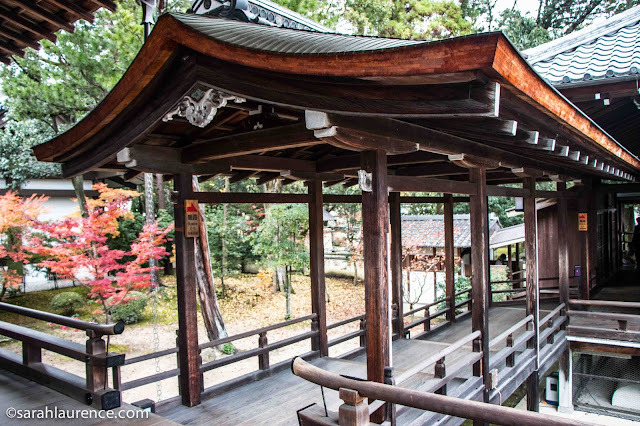 If you're a fan of samurai movies, Daikaku-ji Temple (above and below) may look familiar. The buildings are connected by covered walkways overlooking the inner gardens. 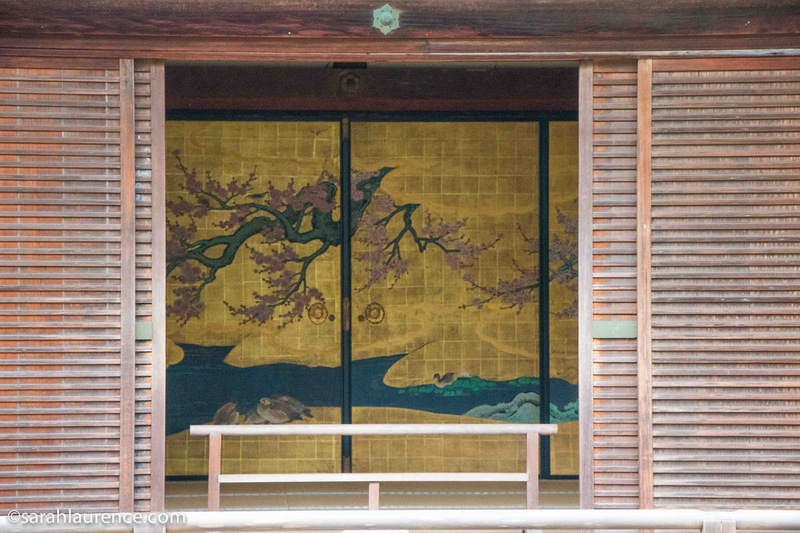 The screen art in the tatami rooms is exquisite too. 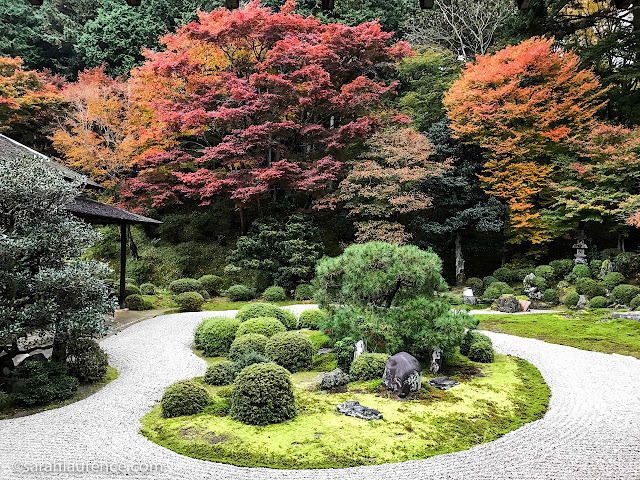 Daikaku-ji's outer garden has a pagoda and a lovely path around a pond. 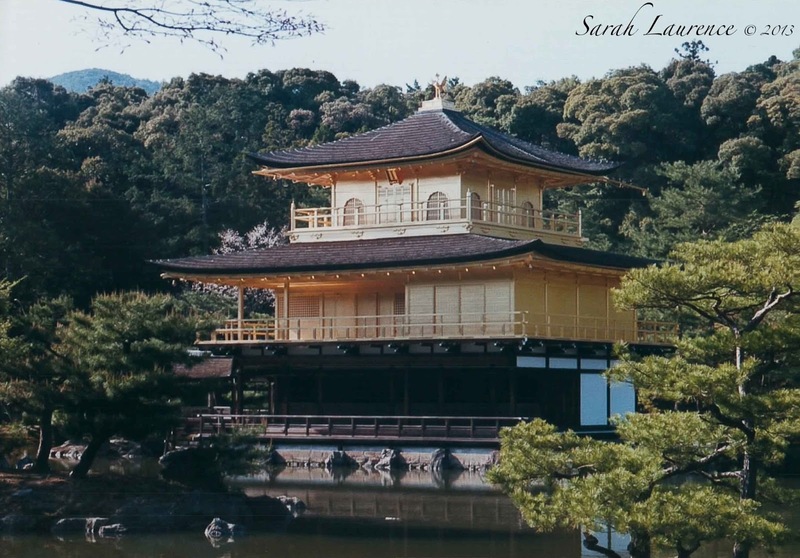 Kinkaku-ji is also called the Golden Pavilion (photo from my April 2003 visit to Kyoto). 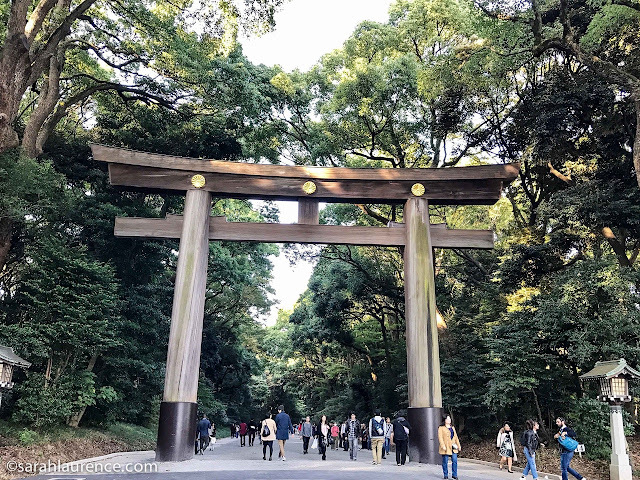 People travel from all over the world to see Kyoto temples, but there are far more visitors from East Asia, especially China, than from the West. If you're visiting at a less crowded time, I'd also recommend The Golden Pavilion (Kinkaku-ji), The Silver Pavilion (Ginkaku-ji) and The Moss Garden (Saiho-ji Kokedera). Mt. Fuji from the shinkansen. Photo by my husband (his turn for the window seat). 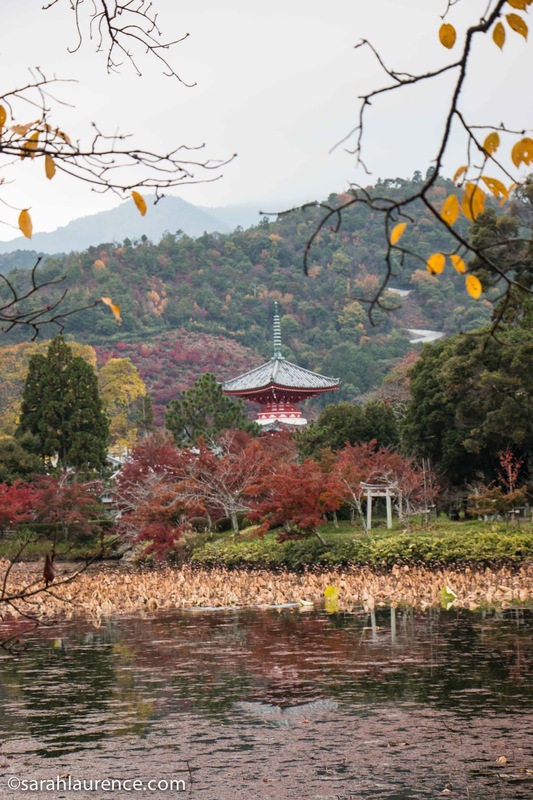 Kyoto is only 2 1/2 hours by shinkansen from Tokyo. 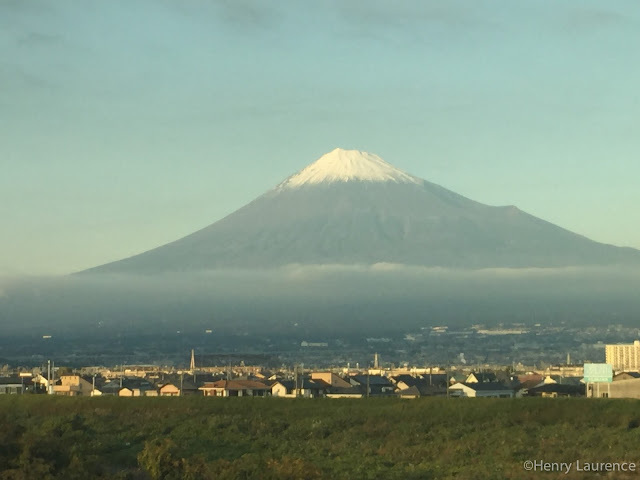 On a clear day, you can see Fuji-san from the north side of the high speed train. I can't recommend hotels since we stayed with an old friend in the neighboring prefecture of Nara. I'm considering all these locations for my novel, but I'll save Nara for another post. I don't know how I'll choose a setting among all these gorgeous options. Konichiwa from Tokyo! With both of our kids at college, I was free to join my husband on a two month sabbatical to Japan. I apologize for not updating my blog regularly, but it has been a busy transition. In June I signed with a new literary agent, Sara Crowe. Since receiving her excellent editorial notes, I've been revising a young adult novel set in Maine while planning a new YA novel set in Japan. Henry and I have now been here for three and a half weeks. Given the political situation in the USA, I alternate between homesickness and feeling sick of home. Japan 1101 class photograph by Anna Aridome. It's a big responsibility writing about a country that is not your own culture. Although my brother is married to a Japanese woman and they speak that language with their kids, I knew only a handful of words. In late August I enrolled in Japanese 1101 at Bowdoin College, where my husband teaches Japanese Politics. The US Department of State recommends 800 hours of instruction to become proficient in a romance language but 1,800 hours of class for Japanese or Chinese. Japanese has three alphabets. After five weeks of instruction, my class had only mastered two: hiragana is phonetic and katakana is for foreign words/names. Those two are easier than the kanji imported from China. Sentences contain all three alphabets. Most student would take two years of Japanese before junior year abroad or a summer internship. We had a fabulous teacher, but I needed to work twice as hard to keep up with these gifted young linguists. Never have I done anything more difficult. My husband speaks Japanese so he took care of the logistics for our trip. 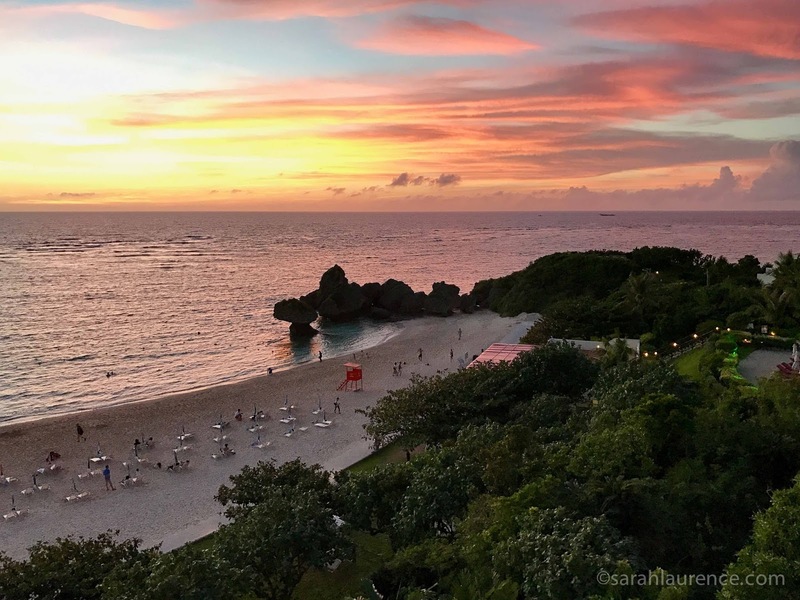 We spent our first ten days in hotels, recovering from jet lag and waiting for our apartment to be available. 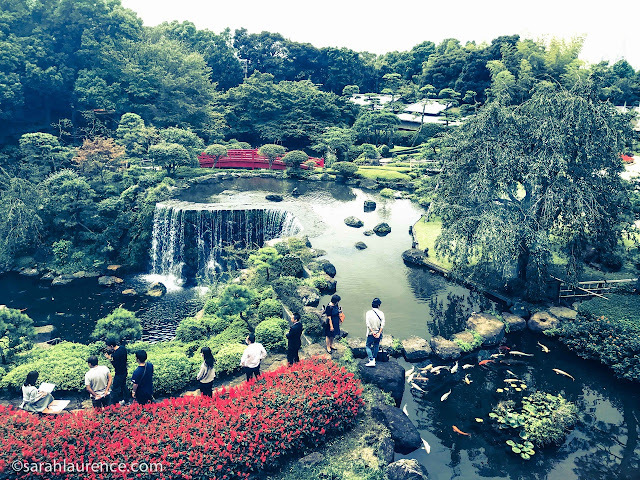 Henry chose the Hotel New Otani in Tokyo because he knew I'd love its garden (above and below). Our sabbatical is doubling as an anniversary celebration for us and this hotel is also a popular wedding site. Sometimes the bride and groom dress in both traditional and western dress. The couple above gave me permission to take their photo. Except for holidays and weddings, most Japanese people dress in western clothing and live in western style apartments in cities. Tokyo from the Hotel New Otani. 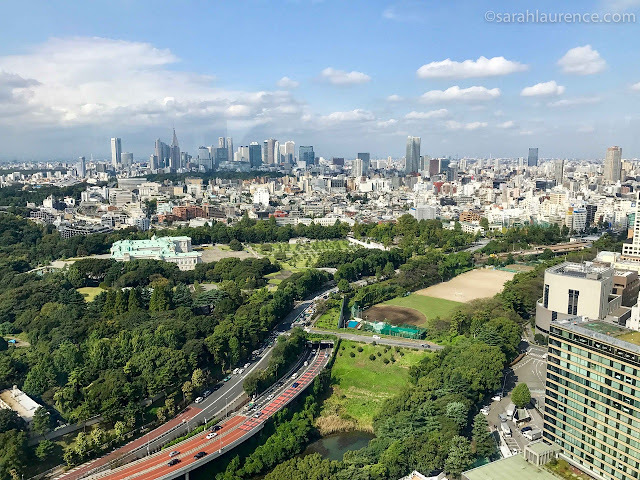 The green space is the Akasaka Palace grounds and mostly closed to the public. 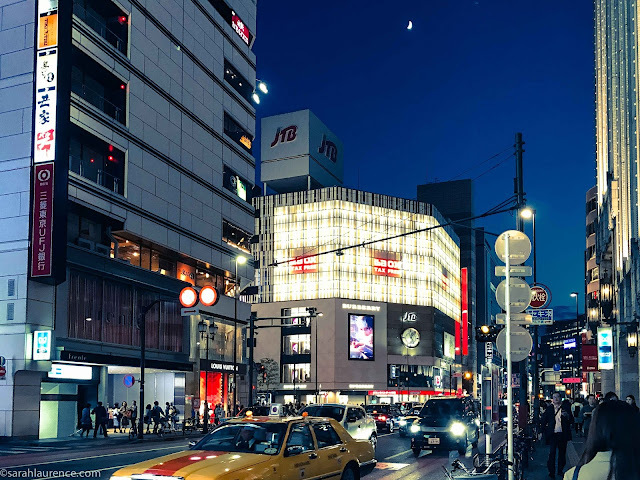 I grew up in Manhattan and lived two years in London, but Tokyo is the most urban place I've ever experienced. There are few trees on sidewalks and fewer public parks. Even my limited knowledge of Japanese has been useful as I venture out alone in Tokyo. My iPhone with a Japanese SIM card is my map and dictionary. Simple chores like shopping for groceries and reading signs or menus are challenging. Swimming laps is an extra workout with my phone and phrasebook in the locker room. People try to be helpful but most speak limited or no English. This is my third visit to Japan, but I still feel unprepared. I continue to study the language on my own. Can you find the moon in Shibuyu? There are manga museums and teen hangout spaces to explore so I keep pushing beyond my comfort zone. The flashing neon lights, dense crowds and busy roads can be overwhelming. Imagine Times Square on steroids with a more homogenous population. 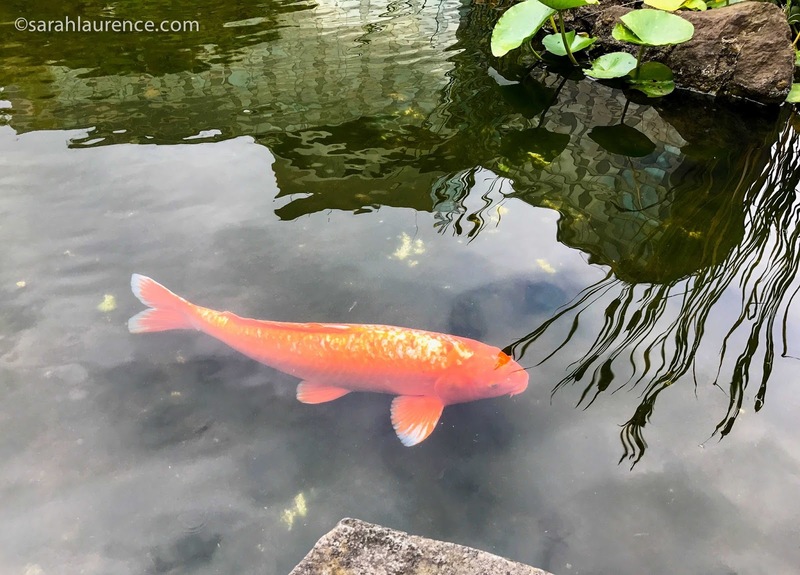 There are few immigrants, expats or foreign tourists (most are Chinese) so we are a curiosity in our residential neighborhood of Shibuya. We found our airbnb apartment through a friend of a friend. The rooftop apartment with its balcony garden is an ideal writing retreat. 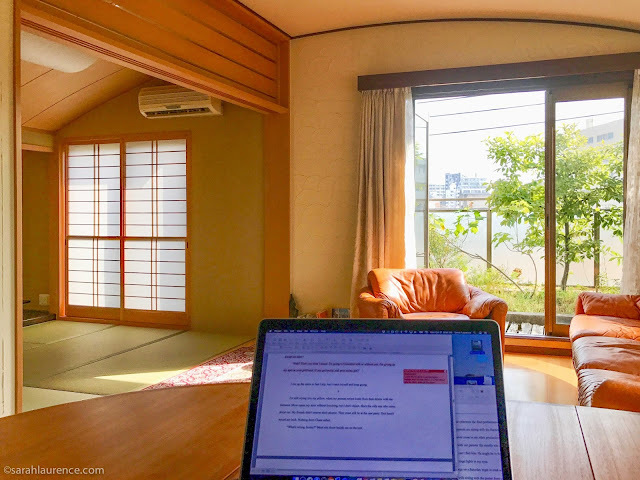 Bird song wakes me in the morning and the tatami room is a soothing space to unwind after work. The remainder of the apartment is western style, although the bathtub talks and the toilet spritzes water and plays music. 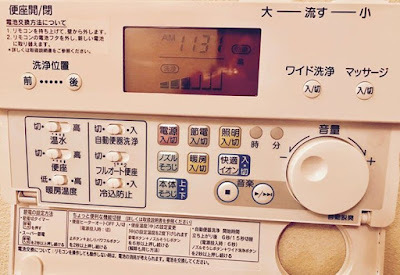 My brilliant husband deciphered the kanji to change the toilet's tune from Pachelbel's Cannon to traditional Japanese koto music. Like we new empty-nesters don't already feel like newlyweds in a tiny apartment! In our new home we prepare mostly Japanese food, except at breakfast. I was very proud to read the katakana for fruit granola, which I found at 7-Eleven. In Japanese, milk translates to cow juice, but often they use our English word written in katakana. A Japanese breakfast is rice, pickles, miso soup and green tea or coffee. At the hotel buffets, I often combined both. As I struggle to adapt to my new environment and language, I'm gathering first hand experiences for my novel. Plus writing in English now seems easy by comparison! Later I'll blog about our trip to Okinawa (below) and to other places that I'll be visiting soon for research. Due to my travel and work schedule, I'll be posting irregularly. I update more frequently on twitter and Facebook. Blogwatch: I'm looking forward to catching up with my blog buddies now that Google Blogger has reinstated my blogroll. The loss of those links for weeks was another reason I stopped posting. Blogging is meaningless without the community. It's nice to be back online!